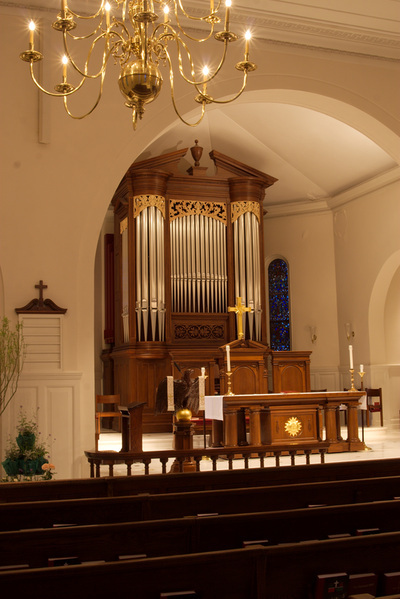 The organ of St. Paul's Church, Rock Creek Parish was installed in 2004. Built as Opus 80 of Dobson Pipe Organ Builders, it was designed expressly for the physical and acoustical space it occupies. The case was designed in the tradition of the Georgian Baroque instruments in England about the time of Christopher Wren. The organ has mechanical key action, electrical stop action, two manuals, 21 registers and 26 ranks of pipes. The story of a church organ is really the description of an instrument primarily intended for vocal accompaniment. To be successful in this elevated role, it must produce gracious sounds congruent with the human instrument. It must be capable of great dynamic flexibility, so that it can support everything from a single voice to an entire assembly. It must make the greatest possible effort to accommodate the centuries of music for worship. It must encourage and inspire artistic minds, so that new songs of the Church may be created in our day. Because the strictest accompanimental demands upon a church organ are made by late 19th and 20th century English choral music, and because of the interests of Rock Creek Parish and its Director of Music, Dr Graham Elliott, we have chosen to focus the design of this instrument on this literature. An organ designed along these lines will easily accommodate the less strenuous requirements of other choral literature and hymn accompaniment, which generally call for continuo or straightforward chorus registrations. To generalize, we conceive of this organ as a true romantic instrument: one that still respects traditional chorus building, employs a wide range of foundation tone, and thinks like a large organ even though it is relatively small. The principal chorus, the organ's birthright, is here represented complete from unison through mixture. Not only will the important quint and tierce mutations be present for solo use, but they are available for use in the chorus, an important consideration when one considers how many organ traditions featured mixtures containing tierces. The voicing of these stops is bold and ringing without being oppressive. The principals are complemented by two flutes: the 8' Hohl Flute, with a stopped wood bass and an open metal treble, supplies a full-bodied yet mellow accompaniment for the Swell or human voices, while the 4' Harmonic Flute, of metal with double-length treble pipes, is brighter and clearer and functions equally well as the Hohl Flute's octave or as a solo stop. This division is conceived as a dynamic equal to the Great, though differing greatly from it in color. It too has a principal chorus, but its character is lighter and a bit reedy. The Geigen Principal, whose bass is supplied by a combination of the Lieblich Gedackt and the Salicional to conserve space, has a bright, slightly horn-like timbre. The Salicional is a true string, while its celeste functions equally well with the Geigen Principal. The Gemshorn follows the pointed, clean examples of Father Willis. The Mixture has prominent quints and provides more color than brightness, making it especially useful for accompaniment. The flute family is represented by the mellow Lieblich Gedackt and cheerful Flageolet. The Trumpet is quite powerful and full-bodied, the Oboe is a more demure, lyrical voice, and the Bassoon falls neatly in between. Placement of the Trumpet in the Swell provides dynamic control over this important stop, and makes it available for solo use against the Great chorus. This department's specification is rather efficient, consisting of three voices that gain added flexibility through an extension system provided in the slider soundboards. Each rank can play at either unison or octave pitch, or both together. This provides a wide variety of registrational possibilities without reliance on coupling or undesirable duplexing from the Great. 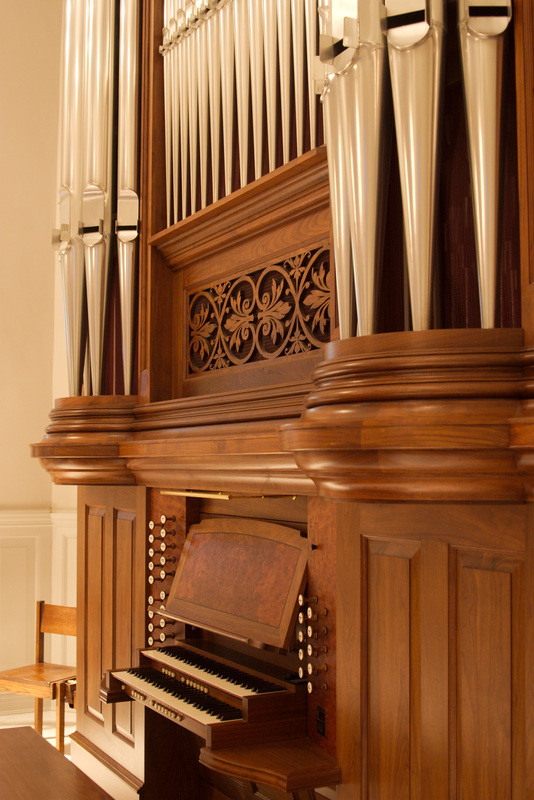 The Bourdon is scaled and voiced to sit under a single register or full organ equally well. The Open Diapason is slightly larger in scale and darker in tone than its brother on the Great. The Trombone is a smooth, powerful reed voiced to serve under a variety of registrations; its use is not limited to full organ. 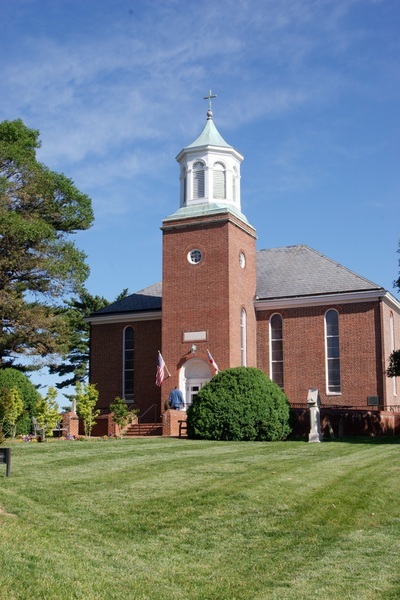 The organ benefits greatly from its placement in the apse of the church, whose lively acoustic is very flattering to congregational singing, soloists and small ensembles.